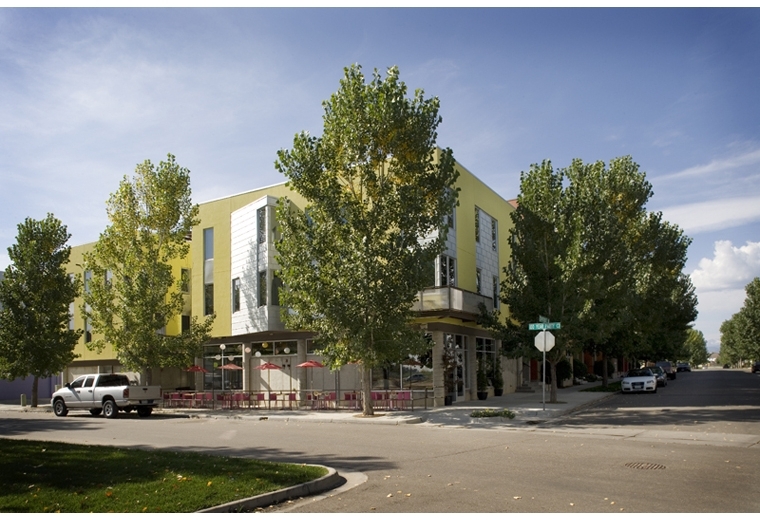 721 Confidence Drive: This mixed-use project occupies a prominent corner lot diagonally across from Prospect’s central green.It consists of two buildings, separated by a court,which directly connects to the courtyards of the adjacent residential buildings. The north building houses a 2000 s.f. restaurant space with three duplex apartments above. The south building provides parking at grade & a duplex apartment above with a separate office & two roof decks. Designed with C. Richard Feeney Architect.